Groups allows for filtering students so that work and grades can be accessed separately. You have a course where you have several classes, and you want to filter your activities and gradebook so you only see one class at a time. You are sharing a course with other teachers and you want to filter your activities and gradebook so you don’t see the students from your colleagues’ classes. --- For more information on groups, please see: Moodle Docs. 2. Click the Groups option under Users. Located in the Administration Block on the left hand side of your screen. 3. 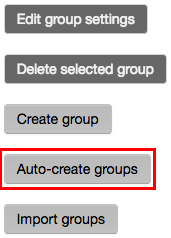 Click the Auto-create groups button, located on the left, bottom corner. 4. Fill in the general information to auto-create the group. Click Submit. The group that was just created will now appear in the list of groups for the course. 5. 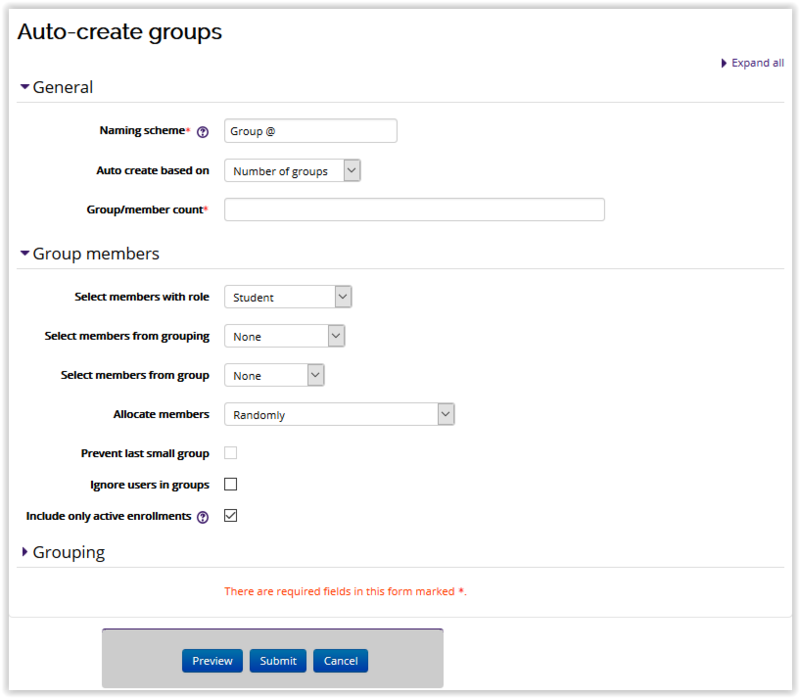 Moodle will randomly assign students to the groups it creates. You can use the Preview button to see how students have been assigned, go back and make changes, or just submit your choices. PLEASE NOTE: You can also manually create groups. 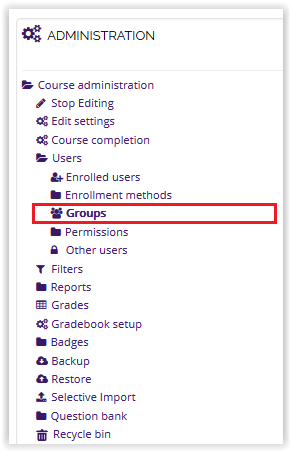 To manually create groups, please see: Moodle 3: Administration Block: How to Create Groups and Moodle 3: Administration Block: How to Assign Students to Groups.